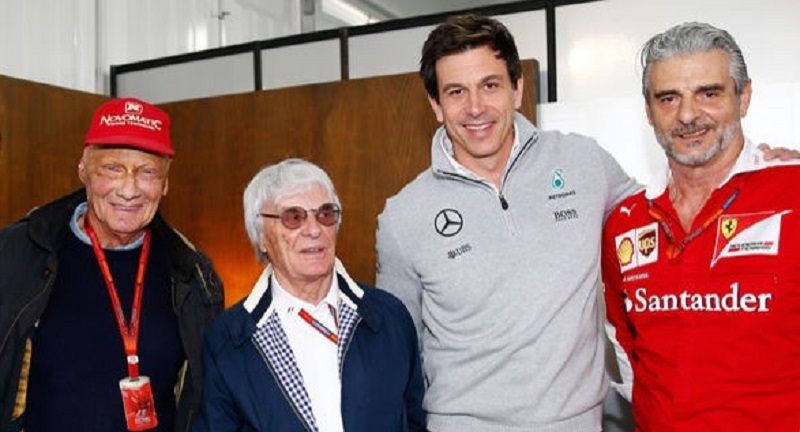 Homepage Inside Line F1 Podcast Ferrari & Mercedes Controlling Alonso's Fate In F1? Ferrari & Mercedes Controlling Alonso's Fate In F1? Ferrari and Mercedes might not hire Fernando Alonso in 2018. In fact, they might never hire him ever. But that is still not the worst for Fernando Alonso’s Formula 1 career. By not agreeing to supply power units to Mclaren in 2018, Ferrari and Mercedes aren’t helping Mclaren (and hence, Formula 1) retain Alonso. From power struggles, Formula 1 now has power unit struggles! Mithila Mehta and I have partnered with Firstpost for the 2017 Formula 1 Season and will feature in their Firstpost Pole Position videos all through the season. Basically, we’re now available in text, audio and video! The ruling that no team on the grid should struggle to get a power unit supplier helps Mclaren buy an engine, but the politics of the sport keep them away from a competitive engine! I hope this power equation is corrected sooner rather than later because at the moment, Ferrari and Mercedes are controlling the ‘competitive quotient’ of Formula 1. Raikkonen’s Future In Vettel’s Hands? It is being reported that in his contract extension discussions, Vettel has requested Raikkonen as his team-mate for yet another year. However, given Raikkonen’s popularity in the sport, shouldn’t his fate be decided by the fans? Let’s have a vote! Max Verstappen’s reaction to Lewis Hamilton’s skipping of the F1 Live London event was the best. He said that the Dutch fans would shoot him if he missed such an event at home. The Dutch fans have been best known to vote for Verstappen as the ‘Driver of the Day’ (even in races he’s not finished! ), but they’re certainly not as tolerant as British Formula 1 fans who were annoyed with Hamilton till he clinched his 5th British Grand Prix victory on Sunday. The F1 Live London event was spectacular – especially because it attracted a 100,000 fans to watch Formula 1 drivers and cars in action on a weekday in London. However, for more F1 Live Events to happen, the business model needs to be understood. Will Formula 1 be organising and funding such events in other cities in the future, or will this be expected of the local organisers? As for the teams, especially the mid-field teams, their power unit supply contracts extend towards Grand Prix events and testing. For show car runs, they need to rent engines and this usually comes out of their marketing or sponsor’s budgets. Given the fan interest, it will be interesting to see how F1 Live Events evolve in the time to come. Formula 1 announced a partnership with Snapchat to share fans’ social stories in the week between Austria and Silverstone. But on the podium of the 2017 British Grand Prix, Hamilton logged onto Instagram Live to share his story. Is a mandate for all teams and drivers to use only Snapchat to be expected? If so, it would be yet another foolish addition to the list of many. Either way, in the battle of the social media platforms, this is a BIG win for Snapchat and projects them as the platform to use to attract millennials. Formula 1 Cars Or Models? From ‘size zero’ designs to now lighter engines from 2020 (or 2021) onwards, Formula 1 is taking inspiration from the world of modelling when it comes to the specifications of their sleek-looking racing cars. Maybe this is why this year’s Mercedes car has been referred to as a ‘diva’ for a reason. Lewis Hamilton launched his own emoji package last week. This makes him the second Formula 1 driver after Fernando Alonso to launch his own personalised pack. I guess Alonso’s Mclaren-Honda stint has allowed him more moments than any other driver to launch a pack before everyone else. Sergio Perez Waiting On Ferrari? As we near the silly season of 2017, Perez has yet again hinted at a career outside of Force India. But it seems that Ferrari is his only option. The Red Bull funded teams are not an option, as is Mclaren. Mercedes seem like they will renew Bottas, unless a miracle brings Alonso to their stable. Perez refused to join Renault last season (because he wanted to join only for a season) and joining Williams would mean taking a step backwards or sideways, at best. His performances merit a promotion to a manufacturer team, but will Ferrari be looking to replace Raikkonen in 2018? Co-hosted by Mithila Mehta and Kunal Shah, the Inside Line F1 Podcast is a weekly show on Formula 1 that attempts to simplify the sport and business of Formula 1. This show also aims to add some much needed humour to the otherwise serious sport of Formula 1. In 2016, the show crossed 150,000 listens and was top-rated on iTunes and Audio Boom. The show is available on Kunal’s F1 Blog and partner websites such as Motorsport, Firstpost, NDTVAuto, Sport360, Sportskeeda, Scroll, Talking About F1, Motor Octane and others. Next article Next post: James Bond In Formula 1?